· FILLING - God's man is a self-feeder. Consistently studying and applying God's Word independent of the church or small group is essential. To do this, a man must be taught how to study the Bible. We suggest building your frame work by having weekly meetings with the Pastor or your Deacon to teach Bible interpretation skills (1 Peter 2:1-3; Psalm 1:1-3). 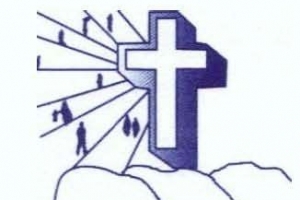 · TRAINING - God's man receives regular/weekly biblical instruction (1 Thessalonians 2:13). This can be achieved through a weekly small-group Bible study or large-group study with small-group discussion. · UNITING - God's man makes it a priority to connect with other men at least two times a month for the purpose of community, accountability, confession, and prayer (Galatians 6:1-3; James 5:16; Hebrews 10:23-24). · SURVIVING - God's man learns to address major life temptations and/or crises according to his need and life-stage. Support and encouragement from the ministry leader and small group is essential (Ecclesiastes 4:9-12). · IMPACTING - God's man invests time and resources into the lives of other men. We suggest one-on-one connection through shared activities, spiritual mentoring, and modeling (2 Tim. 2:22; Proverbs 27:17; Mark 3:13-14).